Signaling System No. 7 (SS7) is a signaling network and protocol that is used globally to bring telecommunications networks, both fixed-line and cellular, to life. 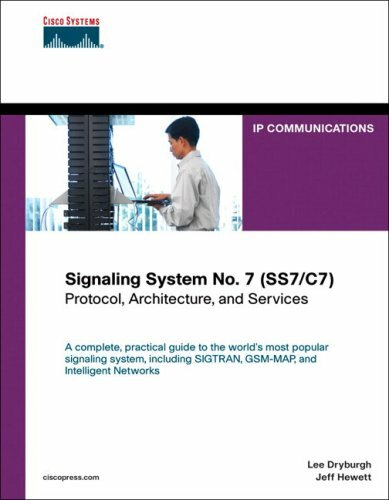 This is a complete, practical guide to the world's most popular signaling system, including SIGTRAN, GSM-MAP, and Intelligent Networks. This document is designed to give the reader a working knowledge of TCP/IP subnetting, addressing, and routing. It is targeted toward LAN administrators just moving to TCP/IP, however it should help anyone who wants to know how TCP/IP works. This book provides a succinct, in-depth tour of all the new features and functions in IPv6. Aimed at system and network administrators, engineers, and IT managers, this book will help you integrate IPv6 into your current IPv4 infrastructure. This is an introduction to the basic concepts of TCP/IP protocol suite. The book explains how the most important protocols function, and their basic configuration in the Windows Server 2008, Windows XP, and Vista operating systems. Network information theory deals with the fundamental limits on information flow in networks and optimal coding and protocols. These notes provide a broad coverage of key results, techniques, and open problems in network information theory.